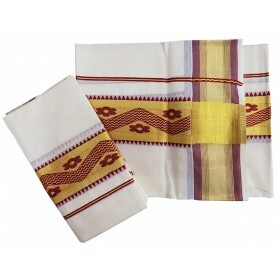 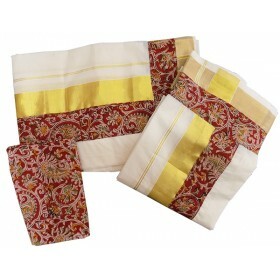 In all traditional seasons men’s are wish to wear dhotis. 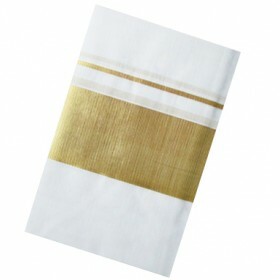 They know dhoti gives the handsome look .H.. 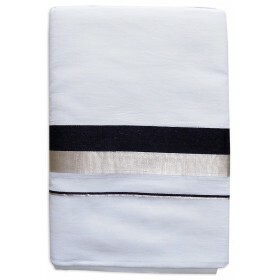 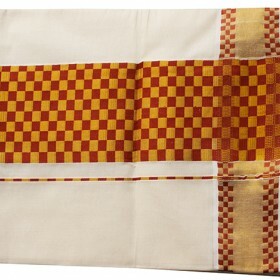 Beautifully woven with high quality thread, and are a perfect wear for men. 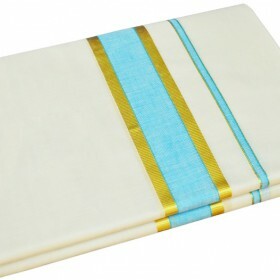 Traditionally created Dh.. 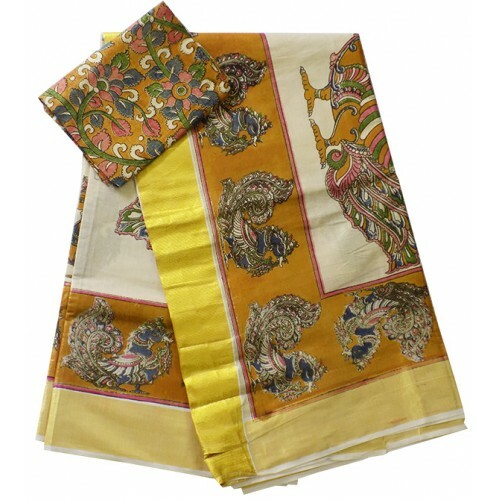 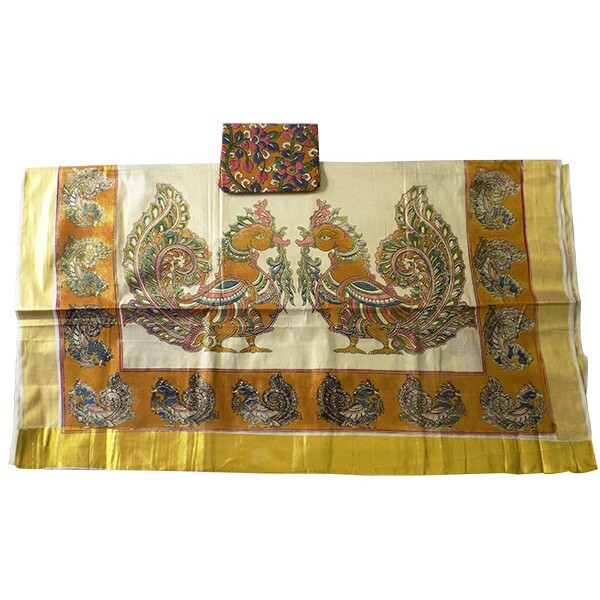 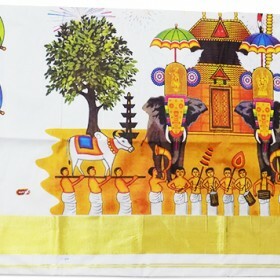 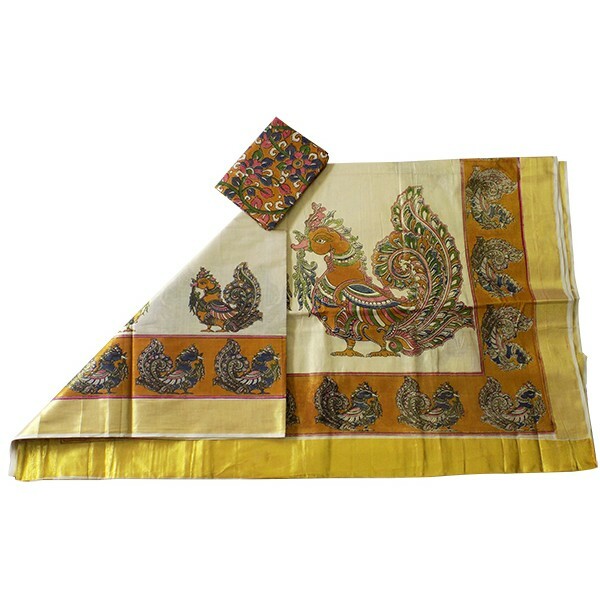 Traditional Kerala kasavu saree specially designed with rich printed mural design of peacock on pallu and the whole body. 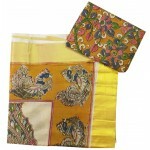 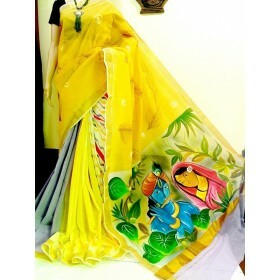 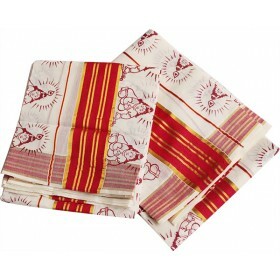 Saree is designed using mural printing method. On the border printed mayil design gives the elegant appearance on that the rich jari is more attract the saree. 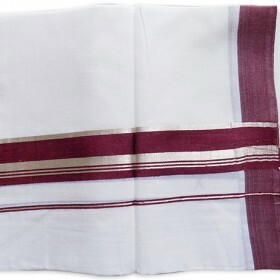 Running blouse is attached with it.